Global Foundation for Democracy and Development (GFDD) and Fundación Global Democracia y Desarrollo (FUNGLODE) are pleased to announce the launch of the 2007 Dominican Republic Global Film Festival (DRGFF) bilingual webpage in Spanish and English. The comprehensive and interactive webpage features up-to-date information concerning all aspects of the Festival, state-of-the-art digital images and promotional video clips. The sites user-friendly format provides visitors with breaking news stories, the festival program, which details the times and locations of all screenings, film synopsis, panel descriptions, photo galleries and related articles. 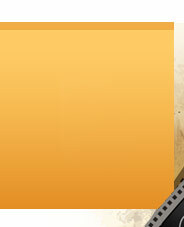 The webpage also contains an entertaining online quiz that tests users’ knowledge of film trivia. Moreover, the section “Press Accreditation” allows representatives from the press, television stations and magazine publications to register to receive timely updates on all festival events. The section “Register” is designed to provide the general public with the latest reports. Soon-to-come site sections include postings on other related events taking place during DRGFF 2007, festival highlights and DRGFF TV, the Festival’s internet broadcast channel that will present live footage from the Opening Night Ceremony, panel discussions and other scheduled events. The site’s commitment to providing accurate and relevant information and its masterful use of image and space unequivocally meet the standards set by the 2006 DRGFF website, nominated for the 2007 Webby Awards in the category of Events and Live Broadcasts. Website development was directed by DRGFF General Director, GFDD Executive Director and FUNGLODE Vice President, Natasha Despotovic, and implemented by DRGFF Website Coordinator and Webmaster, Semiramis de Miranda, Website Designer, Jonathan Grullón, and Website Assistant, Regina Sanchez.